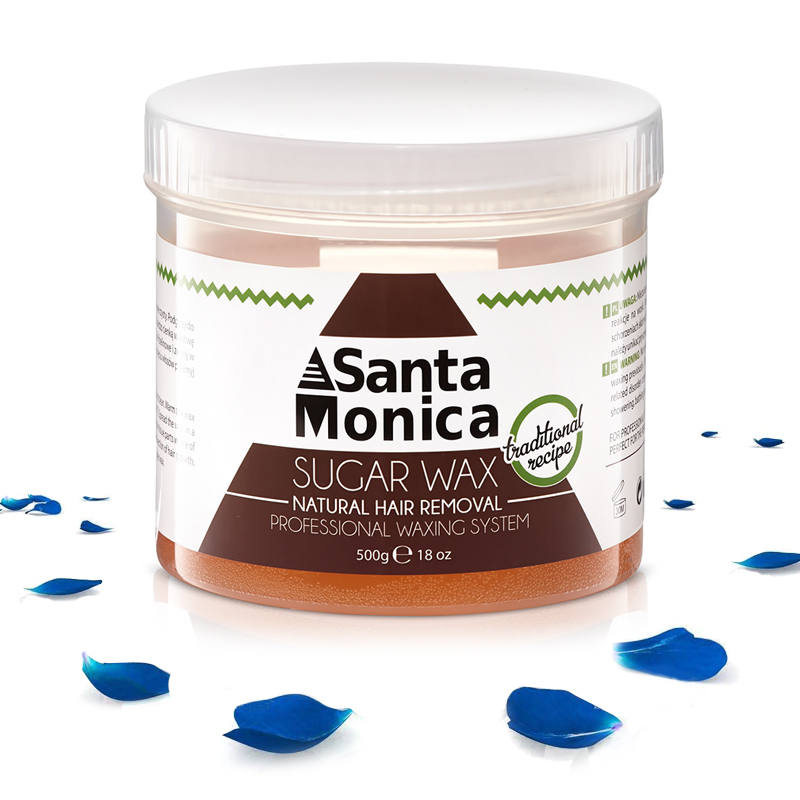 Sugar paste consistency honey after heating enables effective removal of hair on the body and face. The epilation should be started by placing the bowl with the paste in a hot water bath. While the paste is going to dissolve, prepare thin stripes of material you will need to peel off the paste. When the paste completely dissolves, make sure it is not too hot and then take a small amount of it with a wooden or plastic spatula. Distribute the paste on the selected body part. It is best to lubricate the paste with small areas of the body, just drag the spatula with the paste to form a small rectangle. He then glues the material strap, iron it gently with his fingers and break it vigorously. Other remnants of the paste can also be removed by gently stripping the material.